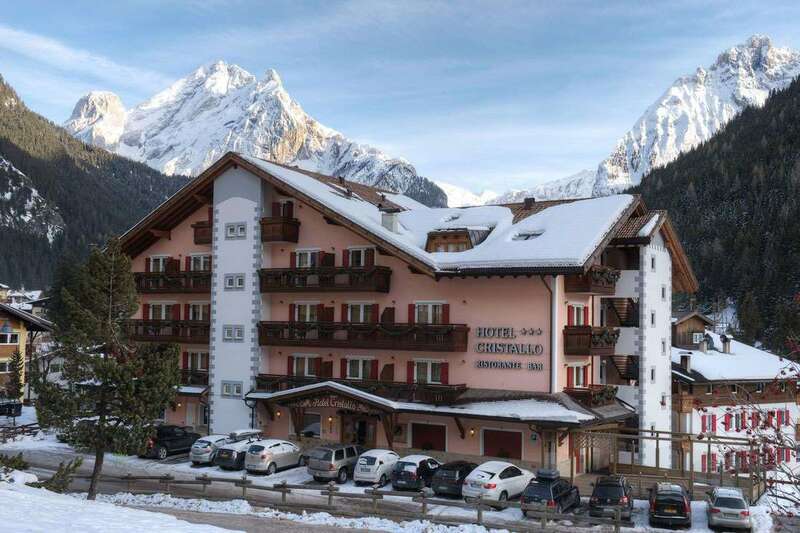 Hotel Cristallo, located 600m from the lift linking Sella Ronda ski circuit and surrounded by Dolomites. Unlike most other hotels, Cristallo has an indoor swimming pool coupled with a wellness center. Carpets are used as floor covering, with light-wood furniture used for room furnishing. They also have satellite TV connectivity, and offers panoramic view of surrounding landscape. A good number of the rooms have a balcony. Dinner and lunch is served every day in the hotel’s restaurant. Italian and Trentino delicacies are served there. Cristallo offers free entrance to its spa center which is outfitted with Tyrolean sauna, aromatic shower, hot tubs, Turkish bath and so much more.